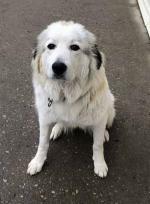 Do Pyreneese's do well with the electric dog collars to get them to stay in a certain location? NEVER use electric shock collars on your dog unless you can use it on yourself and think it's okay. Pyrs were bred to wander with sheep to keep them safe. They were bred to bark to keep predators away. 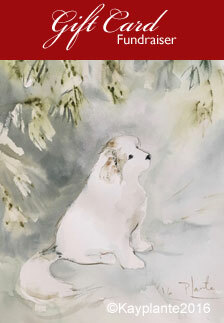 People want to take away the spirit and intent of the Pyr to make them into something they are not. All you are doing is confusing this dog with pain while they are working with what is instinctive to them. Know that using a shock collar will result in a broken-spirited dog and he will eventually end up with a hairless and swollen neck. Pyrs must only be contained with a minimum of 5 foot secure fencing (not electric since all that does is scare them so they will not want to go outside and know they will jump it and get shocked in the process). 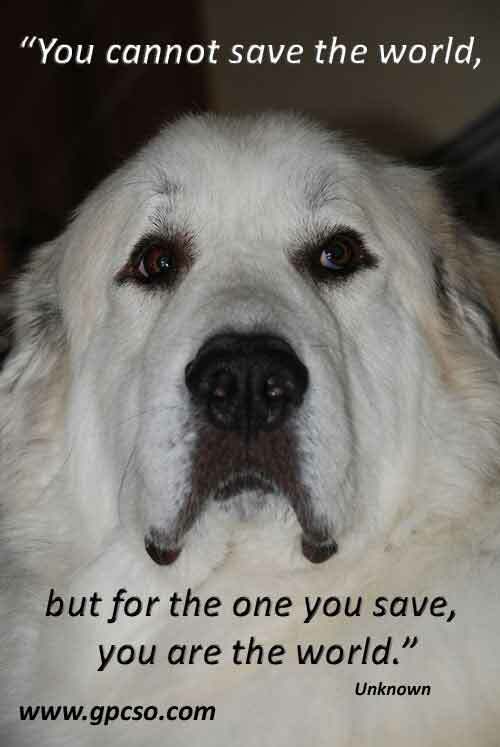 If you want a dog who sticks around, do not get a Pyr. I beg to differ with Donna. 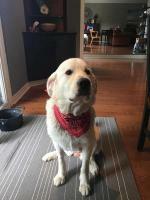 We have 2 great pyrs who are trained on the radio collars and they do really well with them. 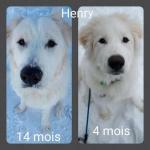 We only put the collars on when the are going outside and DO NOT leave the collars on all the time. 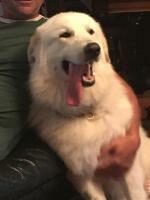 We live on 33 acres and that is still not enough space to contain a wandering pyr when he/she decides to go for a romp. With coyotes, skunks, raccoons and other wildlife nearby, our only option was the radio collar which is also great if we want to take the dogs to another house, we can just plug the unit in, affix the collars and the dogs respect the beep. 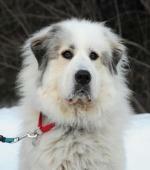 If trained properly, the radio collar is a great way to keep your pyr safe and nearby. And NO, it did not break the spirit of either of my dogs. I recommend trying a shock collar on yourself a few times before you decide on that choice. 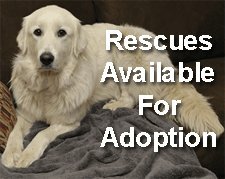 Any rescues I've volunteered with would not let a dog to a home who would use a shock collar. We only allow well-secured fenced areas. Again, wandering is in their makeup. If you don't want to fence, get another dog.